I just got home from visiting my mom in metro dc. she's holding up pretty well - some good days and some bad; today is the two month anniversary of when my dad moved to the other side of the veil. there's been a lot of emphasis on voting early, the reasons are all very sound, this mouse revels in voting on election day. doesn't matter when you vote, just as long as you vote and your vote is valid! 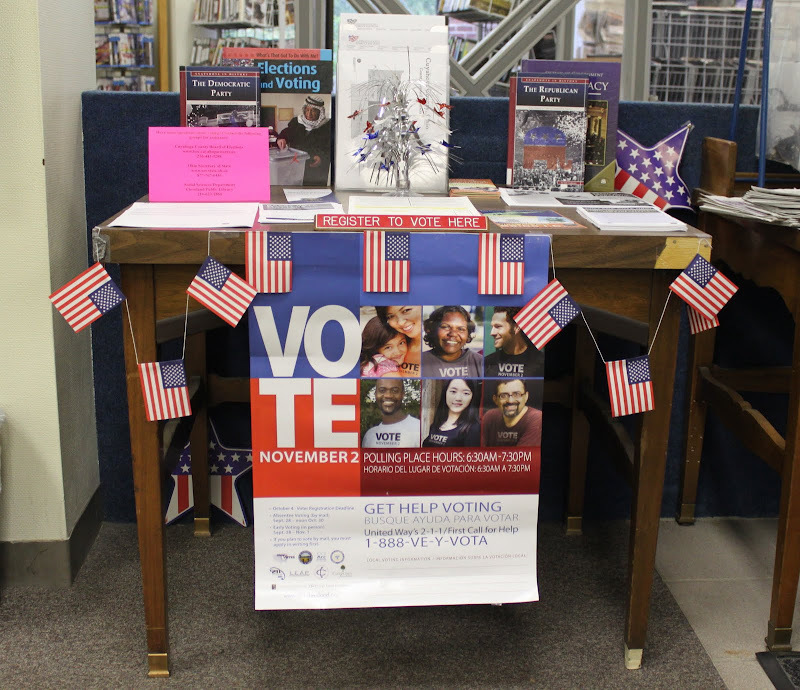 registering to vote is very easy, many states have voter registration available at the local library. as of today, however, if you haven't registered it's too late in virtually all the states. according to this handy state-by-state guide the only states where it's not too late are: connecticut, maine and vermont. most states are like virginia where you must register 29 days before an election. Already sent my absentee ballot in. My mom cracked me up last week with this comment - "Well, I mailed your father's ballot. Even though it pretty much canceled mine out." I wish everyone would vote. WHY DON'T THEY? I signed up for absentee ballots several years ago when I traveled a lot. I have thought about going back to stand-in-line voting just for the human interaction and receiving the "I voted" sticker. However, I do like the convenience of being able to study the ballot with plenty of time at home which is helpful in California where we have so many propositions and state and local questions.